Hearing Health Foundation (HHF) is pleased to begin the New Year with the guidance of Margo Amgott as Interim Chief Executive Officer. 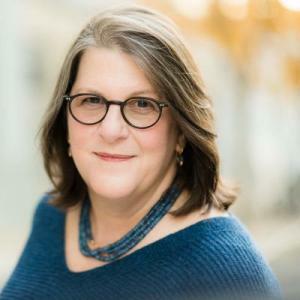 — Board Chair Elizabeth Keithley, Ph.D.
NEW YORK, NY, UNITED STATES, January 17, 2019 /EINPresswire.com/ -- Hearing Health Foundation (HHF), the largest nonprofit funder of hearing and balance research in the U.S. is pleased to begin the New Year with the guidance of Margo Amgott as Interim Chief Executive Officer, succeeding Nadine Dehgan’s dedicated service to the foundation. Margo will lead HHF overseeing operations and working with the Board on a search for a permanent replacement. Hearing Health Foundation (HHF) exists to better the lives of people with hearing loss, tinnitus, and related conditions. HHF is the nation's largest nonprofit funder of hearing loss research and has awarded more than $50 MM to scientists performing groundbreaking work since its establishment in 1958. Learn more at www.hhf.org.